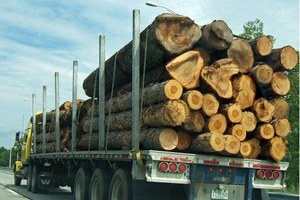 Why is logging dying? Blame the market. Whatever happened to letting fires burn? The writer suggests that Westerners learn to live with fires rather than suppressing them. Montana State University to local environmentalists: Get lost! Author describes how Montana State University blacklisted him for being the "Ralph Nader of the West." Cows are more destructive than development. There is no getting around this ecological fact of life: Within nearly all forest communities of the Rocky Mountains, fires are essential form maintaining a healthy ecosystem. We need to expand our view of time, give natural events more space and look for the heartbeats that keep it all running. The death of six wolves roaming northwest Montana was a serious blow to the recovery effort, but it may be only a sign of much larger problems facing the species. Gone from the West for almost 50 years, wolves recently crossed the Canadian border to colonize Montana's Northern Rockies. 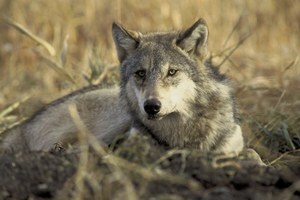 Up to 20 wolves are spending this winter in Glacier National Park; by spring, the pack could number 40. One of the most controversial areas where special management or national recreation area status is proposed is along the Rocky Mountain Front, a nearly 450,000-acre roadless area adjacent to the Bob Marshall Wilderness. Considering the educational priorities of most forestry schools, it is not surprising that our national forests are badly mismanaged as ecosystems.